Fabulous place to call home! 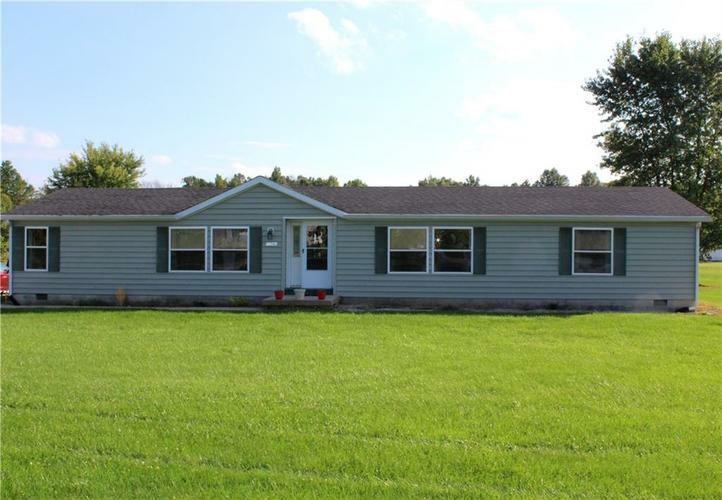 If you are looking for some space to spread out this 1800+ sq ft, 3 BR, 2 BA manufactured home w/formal living room, family room, dining room, nice country kitchen with center island & breakfast room! Split floor plan for privacy! Perfect master suite offers a w/walk through closet, garden tub & separate shower. All on 1.5+ acres, above ground pool, mini barn and a massive 30x70 pole barn w/concrete floors & 200 amp service that includes a 1200 sqft shop, a 600 sqft finished rec room & 300 sqft covered porch! Come take a look and you will want to call this one home! Directions:From I-70 & Exit #41 go south to State Rd 42, east on 42 & follow to town of Eminence. Take State Rd 142 east for 1 mile, home on the right.